As we expected, the price started forming the fifth wave. The pair may reach a new local maximum on Monday. However, the price can’t grow up forever, so in the future we should expect the market to make a reverse. 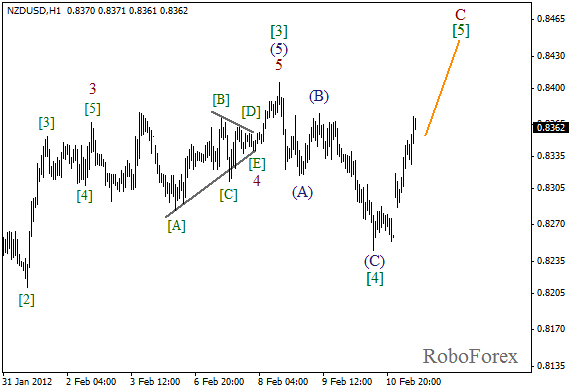 As we can see at the H1 chart, wave  has been completed in the form of a usual zigzag pattern. Currently the price is forming a bullish fifth wave and it may continue growing up during the next several days. The target here is the level of 0.8450. 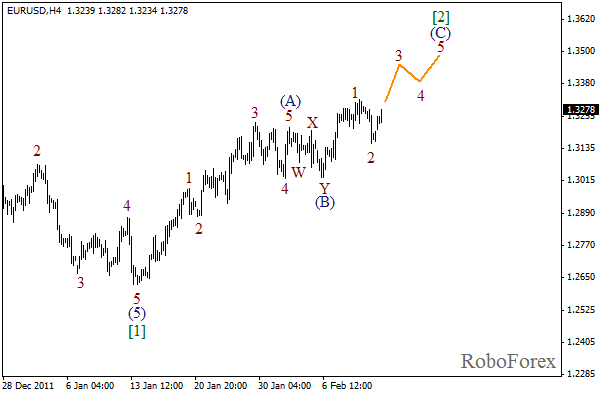 In case of Euro the price started the formation of wave 3 of (C), just as we expected. The pair may reach a new local maximum in the nearest future. 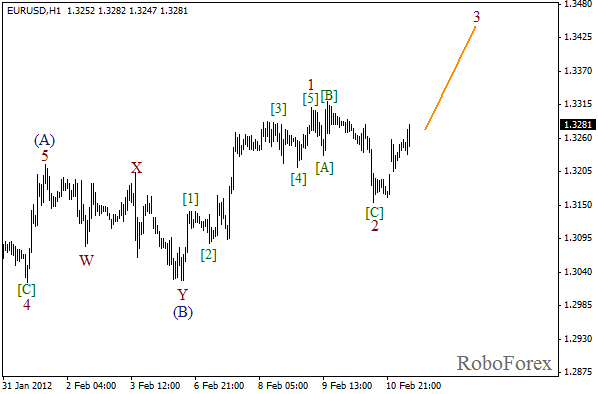 The main target for the bulls is at the level of 1.3450. At the H1 chart we can see that wave 2 has been completed in the form of flat pattern. 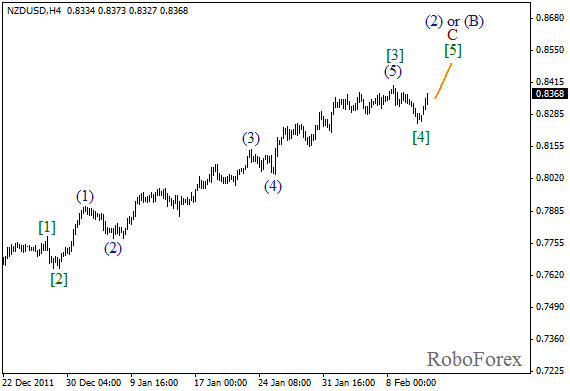 The price has been forming the third wave since the market opening, and this wave may grow up about 100 pips during the day. After that we can expect the local correction to take place.